The Canterbury Tales Virtual Pilgrimage in Second Life by Literature Alive! 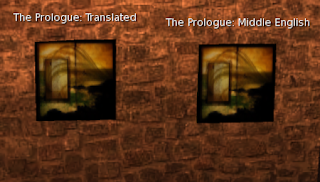 The Canterbury Tales Virtual Pilgrimage was the first literature build of Literature Alive! back in 2006. It only seems fitting that the Renaissance of Literature Alive! should begin with the same build. Many thanks to Finn Zeddmore and the Happy Clams for their land donation. In the 48 hours since it opened it doors to the public, The Canterbury Tales has hosted 280 visitors and has been featured as an Editor's Pick on the SL Destinations page. Royce and I are entirely blown away by the positive response! 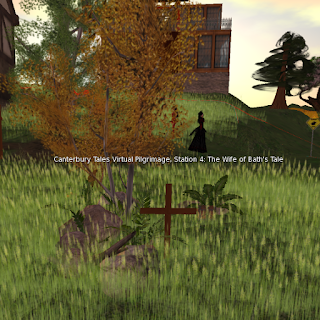 The Canterbury Tales Virtual Pilgrimage is free and welcomes all avatars. Visitors enter the build at the foot of the Tabard Inn stairs. Directions point them to the second floor where they will begin their pilgrimage. 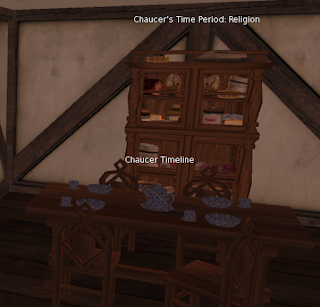 Each room on the upper floor has information about the life and times of Chaucer, and when patrons are ready, they click on the teleport button to travel to the first station and tale. At each station, there is a treasure chest quizzer that gives a prize if the resident writes the correct answer. There are also "relics" hidden on the site with additional prizes. Once residents read the Tales, they return back to the Tabard to vote for the best Tale. The goal of the build is to help residents appreciate the Canterbury Tales and to learn a little about the life and times of Chaucer. 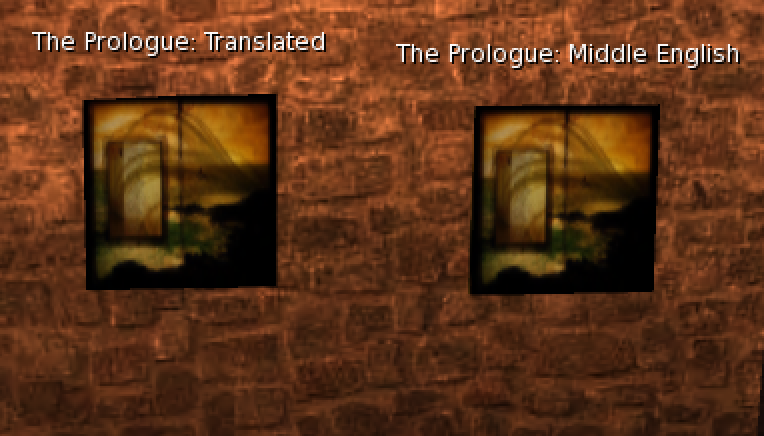 The build is one of many Literature Alive! creations making their way back to the grid. All builds are open access and open source and can be packed for residents with all full perm contents. Literature Alive! exists as a community project and relies entirely on land grant and linden donations to support its work. Literature Alive! has purposely never been tied to a particular institution to allow it full rights to share content with the community. Questions about Literature Alive! or the CTVP should be directed inworld via notecard to Desideria Stockton.